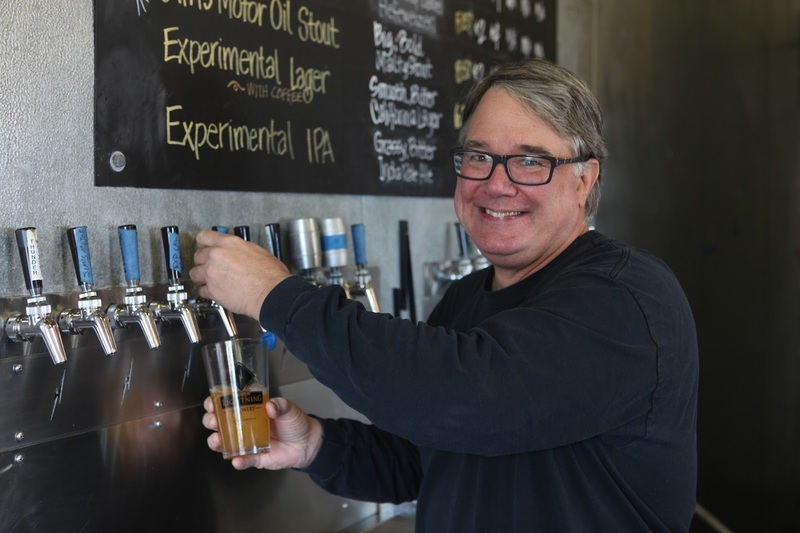 Last June, Lightning Brewery owner and brewmaster Jim Crute sold his brewing equipment to Orange County’s Cismontane Brewing but maintained the leased space for his Poway tasting room and beer garden. The sale satisfied Lightning’s debt and was necessitated by declining revenues for business, which was founded in 2006 and built around a model that skewed heavily toward selling beer at retail accounts. That approach was common in the mid-2000s before consumers’ tastes shifted toward local and ultra-local consumption, and brewery touring became a popular pastime in San Diego. Having absorbed lessons of the last decade-plus in the beer business, Crute is back with a new model and celebrating the rebirth of Lightning as a nanobrewery on April 19. The event may be a reopening of sorts (Crute prefers to refer to it as a “reinvention celebration”), but Lightning’s tasting room never really closed. Crute kept the doors open, selling through inventory of archived bottled beers. He held special events and maintained connections with devout fans, reaffirming his belief that keeping things close to home is the ideal business model for breweries in the current craft-beer climate. Moving forward, Lightning will produce roughly 100 barrels of beer per year, a far cry from the 1,500-barrel capabilities of Crute’s old brewhouse. Some of those beers will be familiar—Elemental Pilsner, Thunderweizen Ale, Electrostatic Ale, Black Lightning Porter—but Crute plans to play on the strength of the small-batch approach and create fun, innovative offerings to keep customers coming back. A pomegranate saison is in the works along with new IPAs, a peach-infused version of Thunderweizen and other fruited wheat beers.